B.SC. Nursing Basic in Punjab(4Yrs) – Are you looking for a bright career option? Are you interested in doing the humanity work for the society? Then B.Sc. Nursing basic is the field most suitable for you. Because everyone is very well known to the fact of its wide scope. This scope is more when your decision about choosing a nursing college is right. This is the most crucial step in deciding your future growth. Mata Sahib Kaur College of Nursing is a leading name in providing quality education in Punjab. We are listing our self in the top B.Sc. 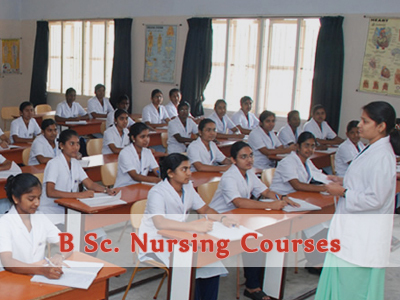 nursing colleges in Punjab, Mohali, and Chandigarh. The nursing profession is continuing from many recent years. But the downfall in this profession was not seen so far. Because of the demand, this will only grow in future also. There is no decrease in the population figures. Obviously, more population will need more health services and the better kind of medical care they need. Nurses are the one which plays a very significant role in the overall medical care of a person. Therefore leading this profession to become one of the most attractive and respect worthy profession. The decision to take admission in a nursing basic course is the intelligent one. The career opportunities after a B.Sc. nursing course will be the same as if you are choosing a private institution or choosing the B.Sc. nursing government college in Chandigarh. When it comes to entering into a vocational course, all you will check is the scope first. Whether the field is having any future growth or not? Will this course match to the requirement emerging in the future? If you are having those questions regarding B.Sc. nursing course, the concern must not be there at all. Because the higher requirement for nurses are there in the country and worldwide as well. Population all over the world will result in the demand for over 20000 more nurses till 2020. This profession will never let the search for a job. You get jobs after nursing course very easily. The salary packages also differ as per the designation and course you have gone through. In addition, one more thing which will affect your salary is your skills and interest towards your work. The more keenness is there in you to learn, the more you will grasp and more you will grow. There are opportunities to work in abroad also in the nursing profession. But the best college for nursing must be your priority to pursue the course. Because only then the theoretical and practical learning will be there. The Bachelor of Science in Nursing is a critical step for a career in professional nursing. This course prepares nurses to be expert clinicians at the bedside as well as initial preparation in Nursing Education and Nursing Administration. The curriculum includes a broad spectrum of scientific, critical-thinking, humanistic, communication, and leadership skills. These abilities are essential for today’s professional nurse who must be a skilled provider, designer, manager and coordinator of care. It prepares the student to assume leadership roles in nursing clinical practice, administration, teaching, and research. Bachelor of Science in Nursing is an undergraduate course in the stream of nursing. The duration of the bachelor’s degree in nursing is of 4 years. The basic eligibility for the course is 10+2 in Physics, Chemistry, and Biology. The student shall be medically fit. After reading its scope, let’s go to the benefits of choosing a B.Sc. Nursing course. The scope itself is the biggest benefit of any field. The things which can attract you in this nursing course is under given. A chance to work for humanity and saving lives in the community. Training regarding handling different medical ailment conditions well. Higher practical knowledge is there in this course. Self-satisfaction is also the result of choosing to nurse as a career. Liaison between doctor and patient. Higher growth at present and will be in future also. Demand for nurses is increasing more with the passage of time. A step to a bright future. Making ready for any future mishappenings. Working at higher designations with increasing experience. Traveling and working abroad is another attractive feature of nursing. The higher level of student involvement in all the activities. Best nursing college in Punjab, Mohali, and Chandigarh. All these features will surely be attracting you to enter into this vocational course. Therefore, to take admission in Mata Sahib Kaur College of Nursing for B.sc. Nursing basic course, you can anytime contact us for the purpose. Students not only love to choose us for the B.Sc. nursing basic college in Chandigarh but we are also ranking high as the best post basic B.Sc. nursing college in Chandigarh, Mohali, and Punjab.